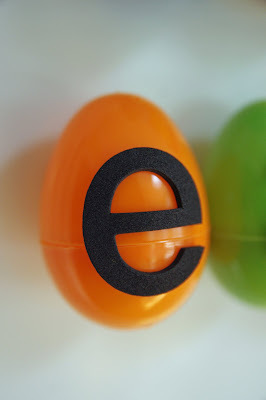 All you need to make these are plastic eggs, sticker letters, magnet tape and hot glue. Just put the letters on the front of the eggs and the magnet tape on the back (I also used hot glue to reinforce the magnets). That's it. 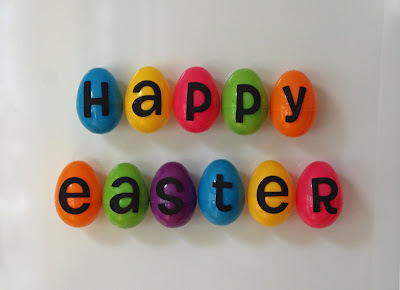 When my kids saw the eggs on the fridge they insisted on making their own - either crafting is in their blood or it's contagious! Hope you all have a Happy Easter!! 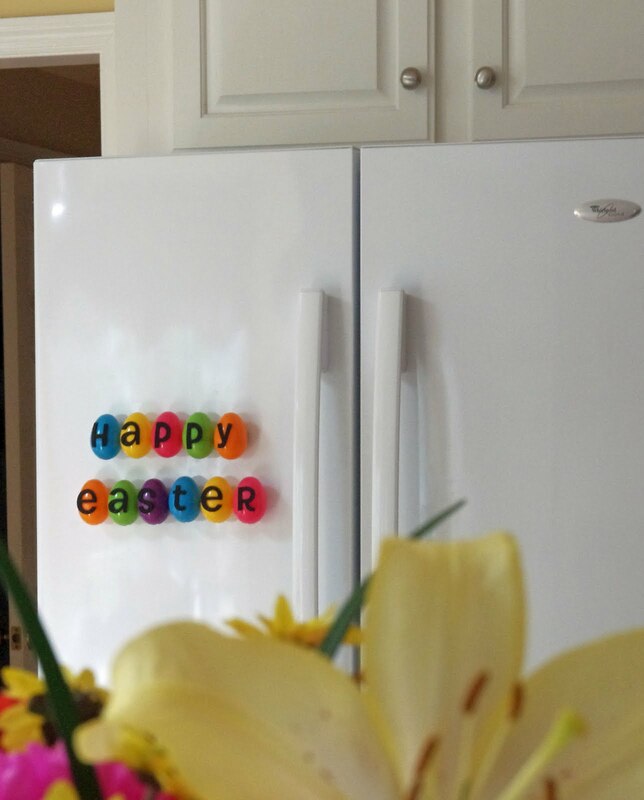 I know I'm super late for Easter...but this is such a cute and clever idea!